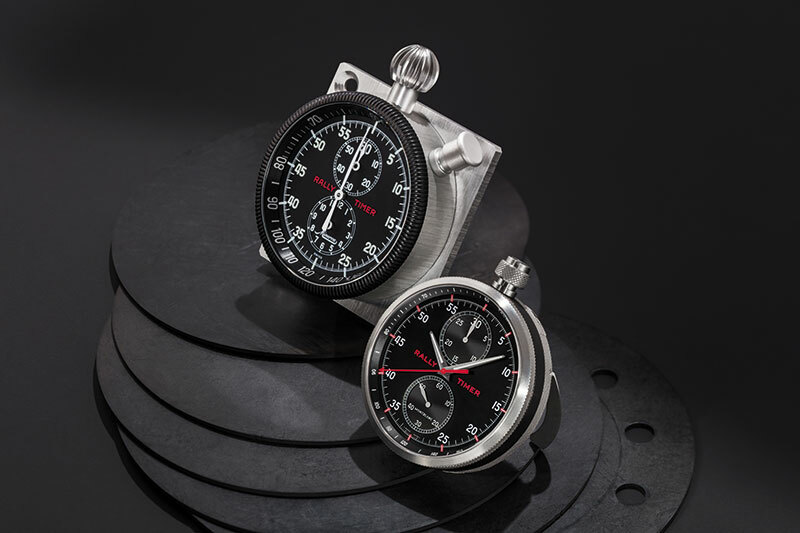 Representing the undying spirit of motor sports is the relaunch of an iconic collection, which includes the TimeWalker Chronograph Rally Timer Counter Limited Edition 100. Inspired by the famous Minerva rally timer, the wristwatch — powered by the MB M16.29 calibre — can be used as a stopwatch, table clock or dashboard-mounted timer. 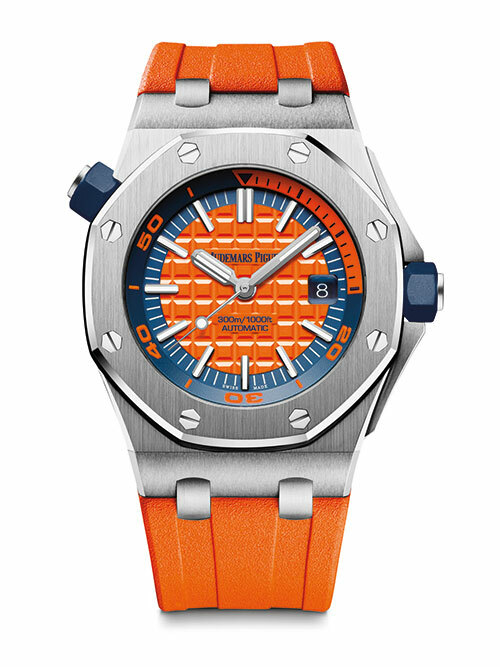 Fresh and funky while still in line with the brand’s classic DNA, the new Royal Oak Offshore Diver is sure to bring a bit of pop to the ocean. 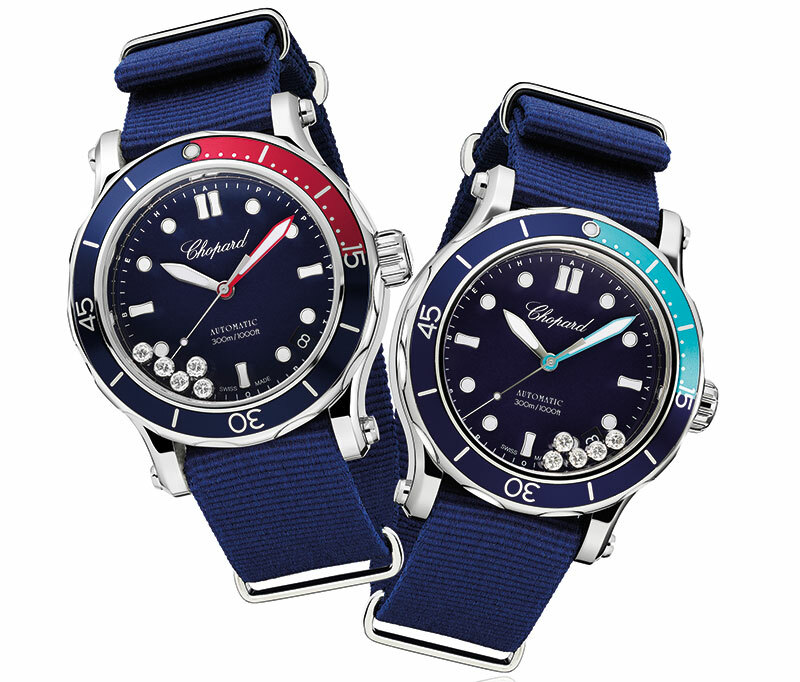 Available with blue, yellow, white, green or orange dials and matching rubber straps, the 300-metre water-resistant watch features colour-coordinated diving scales, luminescent-coated hands and white-gold hour markers. Inspired by azure blue and brightly coloured corals, Happy Ocean combines stylishness with technical superiority. 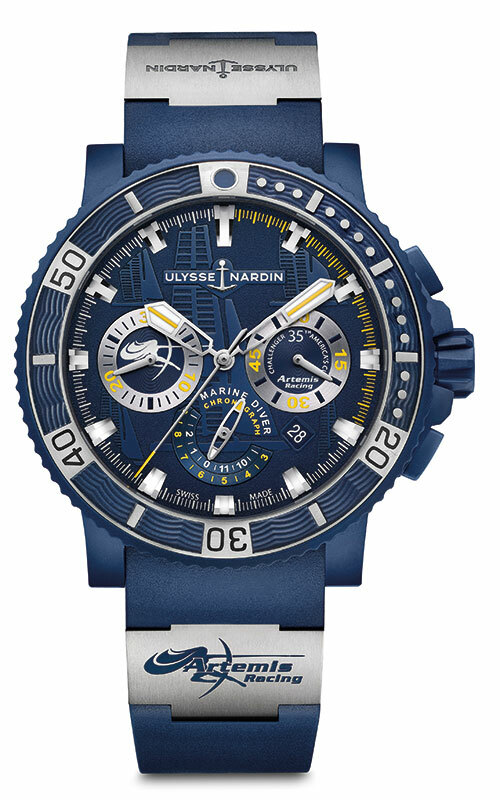 Its deep-blue dial is offset by a white hour hand and hour markers filled with blue luminescence, while a turquoise or raspberry coloured minutes hand (corresponding to the bezel) glows in the dark. Five moving diamonds float around the face, but if that’s not enough bling for you, it comes in a precious jewellery version featuring an 18-carat white-gold case, a navy blue mother-of-pearl dial and a bezel set with diamonds, sapphires and either rubies or topazes. Revisited for its 50th anniversary in a bolder 43-mm case, the new Oyster Perpetual Sea-Dweller is a technical divers’ model, now waterproof till a depth of 1,220 metres and equipped with the helium escape valve patented by the brand in 1967. The clever invention regulates the pressure accumulated in the case during the decompression phases of deep-water saturation dives. 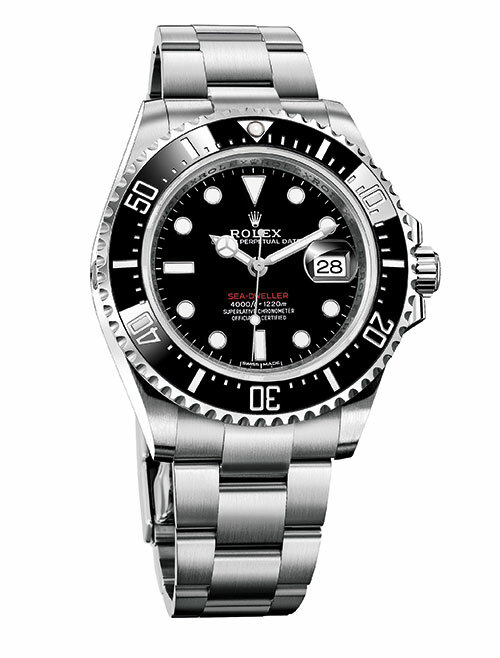 For the first time, however, the timepiece is also equipped with a cyclops lens, which enhances the reading of the date. If MotoGP World Champion Valentino Rossi wears it to race motorcycles, it must be exceptional. The imposing 46.3-mm Master Compressor Extreme W-Alarm ‘46’ is issued in two limited series with a distinctive brushed finish: 346 in pink gold or grade 5 titanium and 946 in titanium. 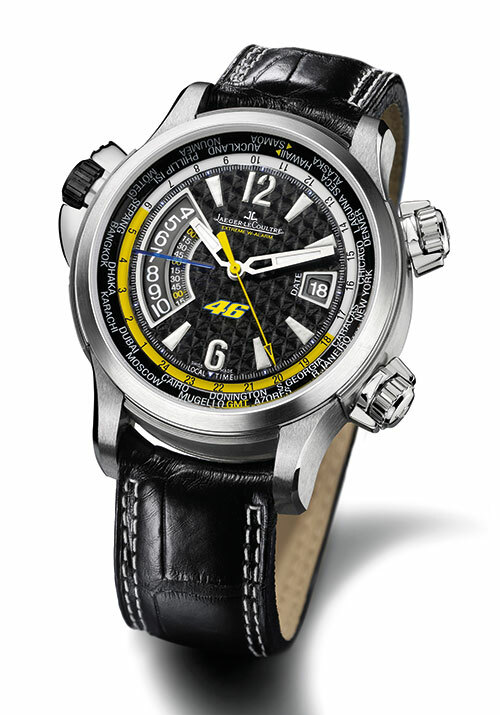 Its reliable movement comprises a tachometric function enabling one to read the speed at which a distance is covered, by means of a yellow chronograph second hand. Thrill seekers have resaon to be pleased now that the Colt Skyracer is on the market. The high-performance, state-of-the-art model is a champion of shock-resistance, with substantial reinforcements surrounding the screw-locked, rubber-molded crown and a protruding bezel gasket perfectly protecting the crystal. 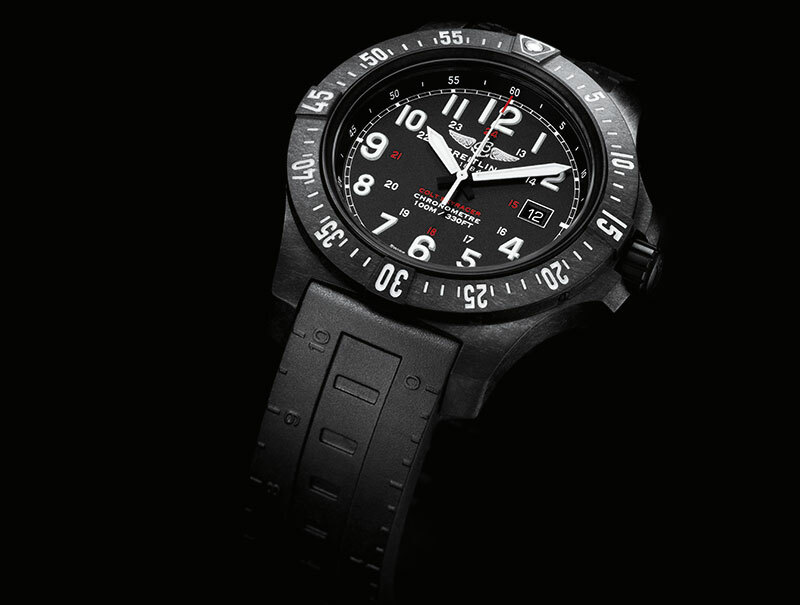 Its rotating bezel serves to record timings, its exclusive black rubber strap bears various measurement scales, and the dial has an additional 24-hour military scale. The Patravi ScubaTec SFA Special Edition was launched at Baselworld 2017 as the official watch for the Swiss national women’s football team, with the brand being their first official timekeeper. Powered by the CFB 1950 calibre movement with 38 hours of power reserve, it flaunts a ceramic bezel in the national colours within a stainless steel case. Combining extremely high structural rigidity with scratch-resistance and hypoallergenic properties, the I.N.O.X. 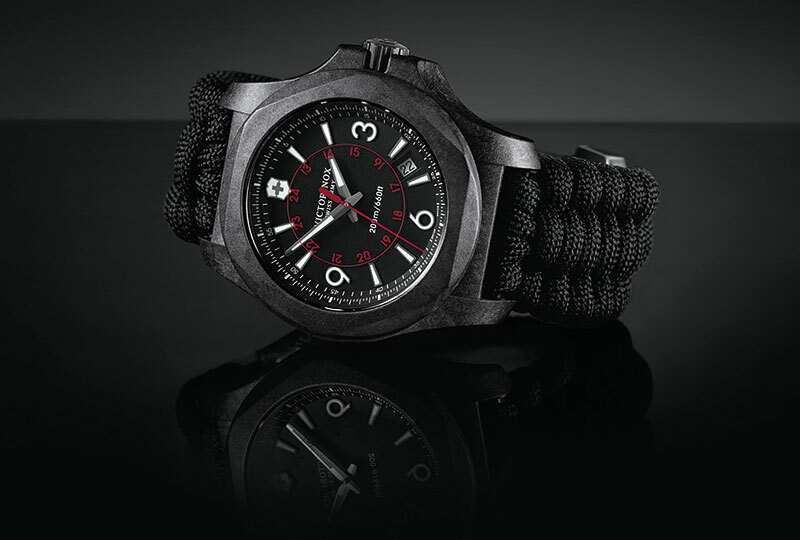 Carbon flaunts a monobloc dial with stamped markers and digits to ensure shock resistance. A translucent grey removable shield on the case provides extra resilience, as does the optional Naimakka paracord attachment. The sandblasted black dial and khaki green oily nubuck leather strap of the Pilot Extra Special Chronograph gives it an irresistible neo-retro look. 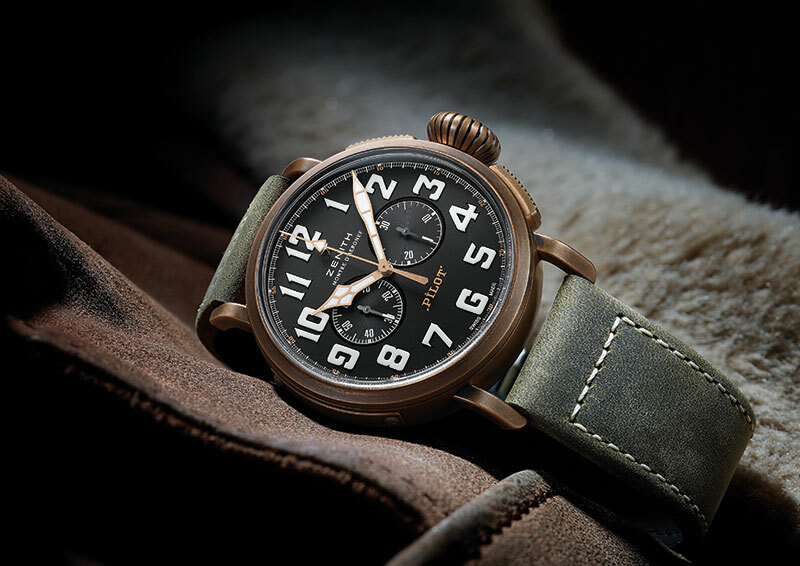 Its 45-mm bronze case frames an oversized luminescent display while a solid titanium caseback depicts the plane flown by Louis Blériot when he flew across the English Channel in 1909 with a Zenith on his wrist. What’s more, its high-frequency 4069 automatic column-wheel chronograph calibre runs at 5 Hertz and has a power reserve of 50 hours. 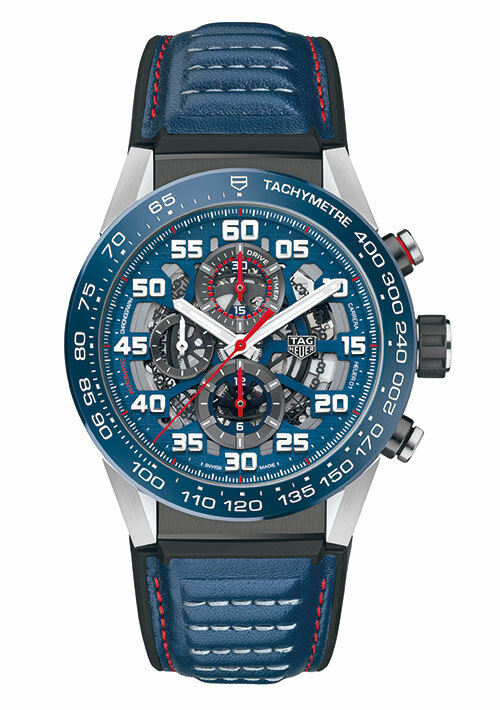 The Red Bull Racing Formula One Team Carrera Heuer-01 was launched this year to mark the start of the Formula One season in Melbourne, and the second year of the brand’s partnership with the team. 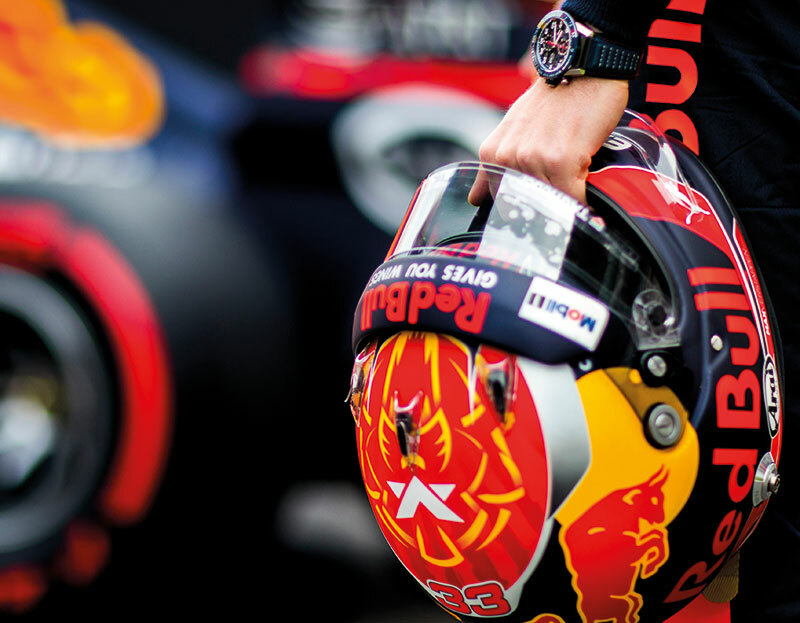 Their colours, midnight blue and red, are well represented on a steel chronograph that boasts a skeleton dial, sapphire caseback with the team logo and a power reserve of 50 hours. With an elegant design, a rubberised screw crown for water-resistance till 200 metres, luminescent Super-LumiNova markers and a high-performance movement, the Diver Chronograph Artemis Racing pays tribute to the seafaring prowess of the America’s Cup team. 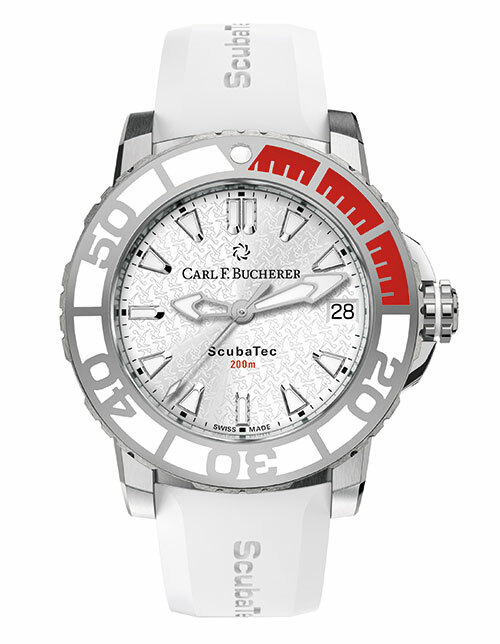 A distinctive wave pattern on two sides of the bezel is accompanied by fine engravings of the team’s catamaran in action on the dial of the 250-piece limited-edition watch. 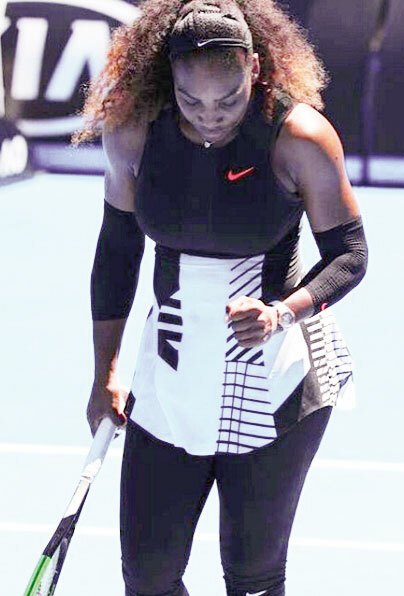 Tennis ace Serena Williams sported a solid gold Audemars Piguet Millenary diamond watch as she won her 23rd Grand Slam at the Australian Open this year. 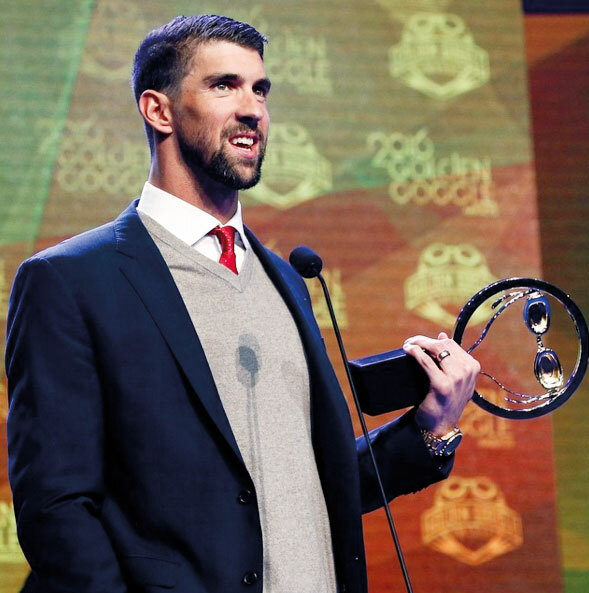 Michael Phelps accepted four awards, including Male Athlete of the Year, at the 2016 Golden Goggles Awards, wearing an Omega Seamaster.